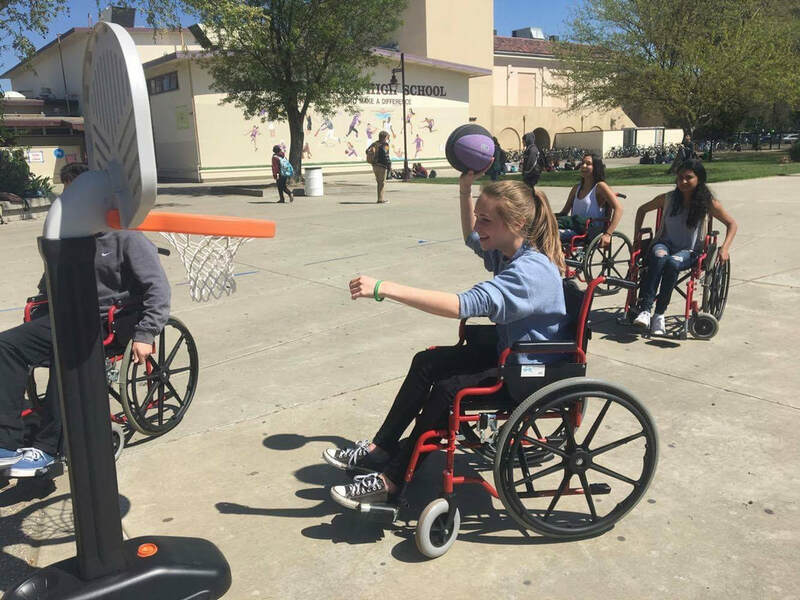 SEED students partner with the Wheelchair Foundation during Abilities Awareness Week in order to raise awareness for diverse abilities at Amador and in other places around the world. Abilities Awareness Week from February 13th through 16th involved Wheelchair Foundation fundraisers and wheelchair activities. 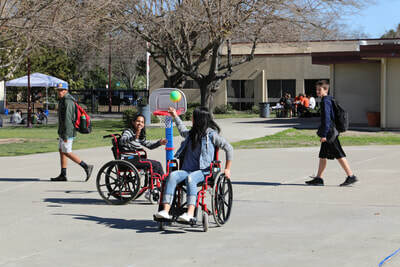 The “Use a Wheelchair for a School Day” program allowed 23 students and 4 staff members to use wheelchairs from the Wheelchair Foundation to experience what it is like to depend on one for mobility. 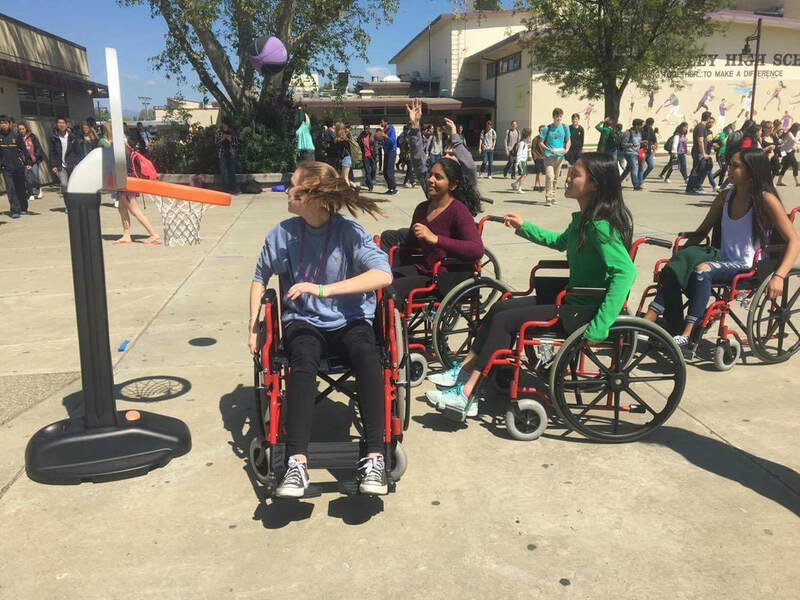 SEED students coordinating Abilities Awareness Week also organized a wheelchair basketball game in the quad in front of the library on Thursday, February 15th. 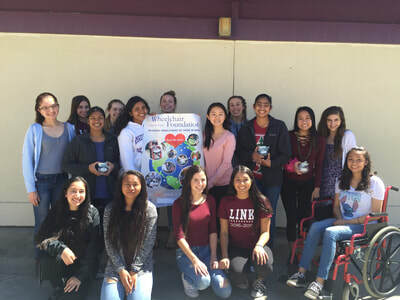 The school-wide fundraiser consisted of putting donation canisters in every classroom and motivating students and staff to support the fundraising efforts. 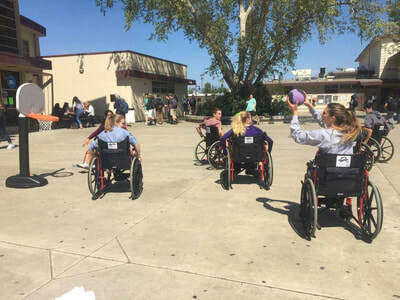 Additionally, some clubs that participated in the Donversity Club Festival donated a portion of or all of their proceeds to the Wheelchair Foundation. 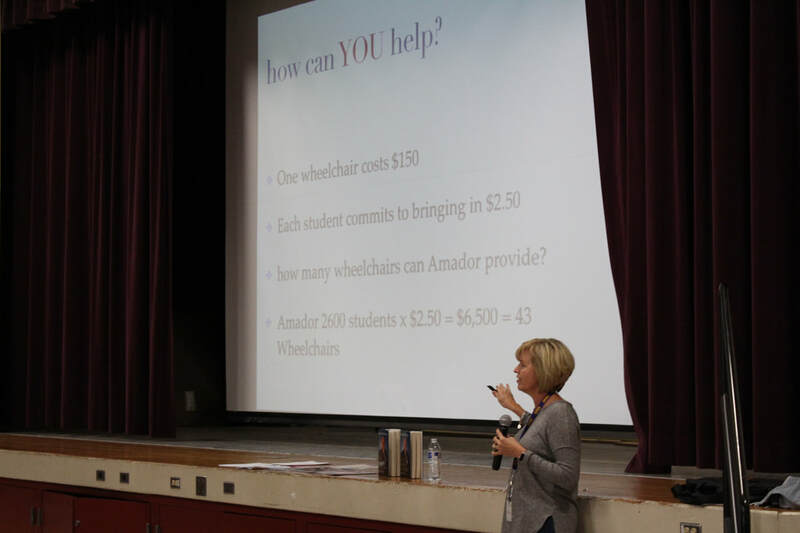 Furthermore, the coordinators invited Barbara Bosse, Direction of Community Outreach at the Wheelchair Foundation, to be a guest speaker at Amador. 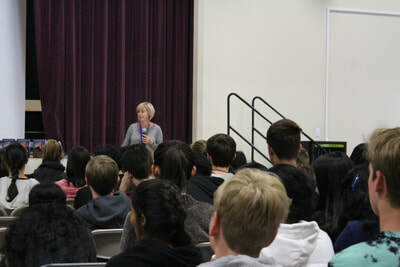 On Thursday, February 15th, Bosse and Eve Sumpster, a student who went on a trip to Argentina to deliver wheelchairs, presented about the Wheelchair Foundation to several classes in the Multipurpose Room. 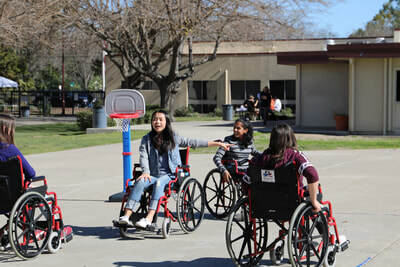 Abilities Awareness Week involved Wheelchair Foundation fundraisers and wheelchair activities. The “Use a Wheelchair for a School Day” program allowed 23 students and 3 staff members to use wheelchairs from the Wheelchair Foundation to experience what it is like to depend on one for mobility. SEED students coordinating Abilities Awareness Week also organized a wheelchair basketball game in the quad in front of the library on Thursday, March 30th. Students coordinated a school-wide fundraiser by putting donation canisters in every classroom and encouraging students and staff to support the fundraising efforts. Additionally, some clubs that participated in the Donversity Club Festival on March 23rd donated a portion of or all of their proceeds to the Wheelchair Foundation. In total, Amador Valley High School fundraised $1,375.72 for the Wheelchair Foundation. Furthermore, the coordinators invited Kathy Gailey, Direction of Community Outreach at the Wheelchair Foundation, to be a guest speaker at Amador. On Friday, March 31st, Gailey presented about the Wheelchair Foundation to several classes in the Multipurpose Room during 4th, 5th, and 6th period.